In this guide I'll explain how to do it. First, however, some credit where credit is due: People originally showcased this method on TinyApps.org, demonstrating the procedure on a Mac. After working with those folks, I was easily able to apply it to Windows 7 as well. Setting your Kindle DX up as a second monitor is a great trick, but it also can be useful in situations where screen glare on your regular monitor is hurting your eyes. Obviously you're about to do something the Kindle DX wasn't meant to do out of the box. To make it smart enough for this trick, you have to jailbreak it. Jailbreaking is a pretty painless procedure. Start by connecting the Kindle DX to your computer and waiting for Windows to mount it as a USB storage device (this should happen automatically after a moment). Next, from Kindle-jailbreak-0.10.N.zip, extract the file called update_jailbreak_0.10.N_dxg_install.bin. Place this file in the root of your Kindle (not in the documents folder). Next, disconnect the Kindle DX from the computer. Switch it on, and then navigate to the Kindle Settings menu by selecting Menu > Settings. Within the Settings screen, press Menu again, and select the Update Your Kindle option. 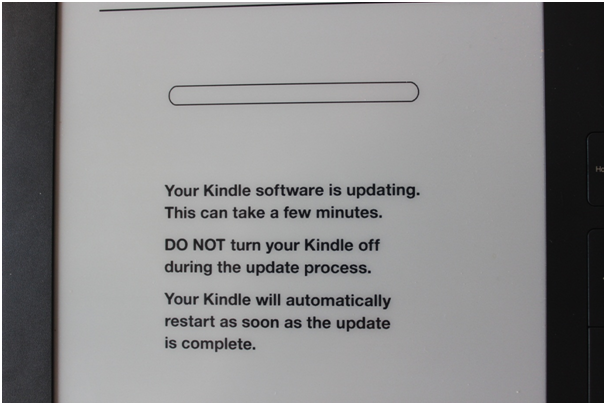 Press the five-way controller to begin the update process, and the Kindle DX will pop up a confirmation prompt; press OK, and the update will begin. Important: The update will now fail, and show a warning to that effect. Don't worry, this is normal; the jailbreak software still worked, and everything is fine. 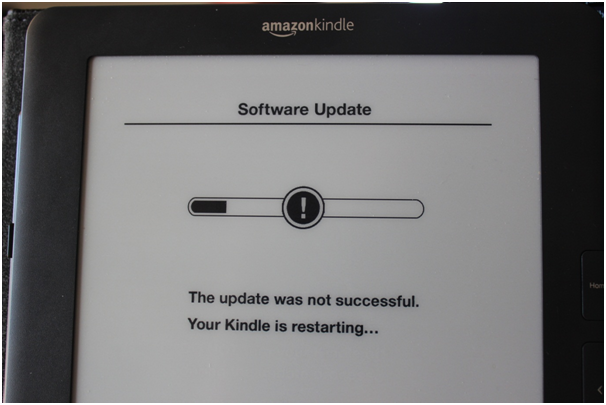 At this point, your Kindle should now reboot itself. Once the Kindle DX reboots, connect it to your computer again and mount it as a USB storage device. Next, open Kindle-usbnetwork-0.37.N.zip and extract the file called update_usbnetwork_0.37.N_dxg_install.bin. Place update_usbnetwork_0.37.N_dxg_install.bin into the Kindle's root directory, and then repeat the rooting procedure I outlined above to install the USB Networking file on the Kindle. With USB Networking installed (but not yet active), connect the Kindle DX to your computer again, mounting it as a USB storage device. Unzip kindlevncviewer.zip, and drag the kindlevncviewer folder into the root folder of the Kindle. You're done with the Kindle DX, and now it is time to set things up on the PC. First, install TightVNC and run the TightVNC Server application. Next, right-click the TightVNC system tray icon, and open the Configuration menu. 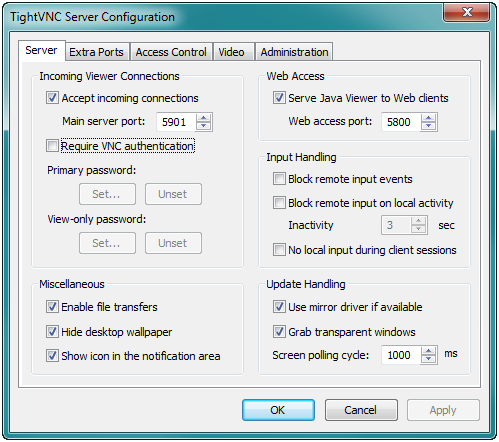 Change the 'Main server port' to 5901, and uncheck the Require VNC authentication option. Click Apply or OK, and then leave TightVNC Server running. You are now ready to start USB networking on the Kindle DX. 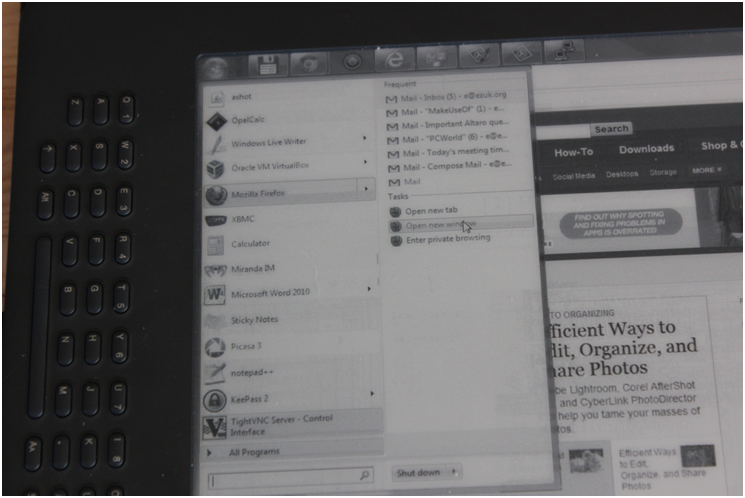 If the e-reader is still connected to the PC, disconnect it and navigate to its home screen. Next, tap the Del key on the Kindle DX keyboard. A prompt will appear. Type ;debugOn and press Return. 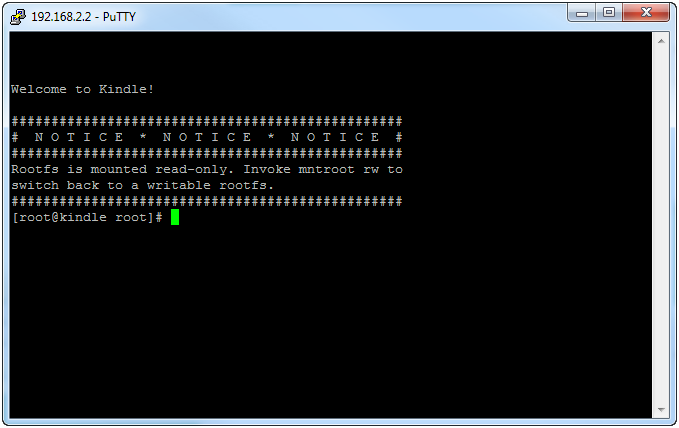 Note the semicolon at the beginning of the command; you can produce it by using the Sym key. Next, tap Del again. Type `usbNetwork and press Return. This command starts with a backtick, which you also produce via the Sym key. Make sure that it's a backtick, not a single quotation mark. Once you have that, tap Del one last time. Type ;debugOff and press Return. Great job! Your Kindle DX is now ready to create a virtual network with your PC, over the USB connection. Use the USB cable to connect the Kindle DX to the PC. When you connect the Kindle DX now, Windows will not mount it as a USB storage device. Instead, Windows will install a new device driver for it. This process takes a moment, but does not require any intervention on your part. Simply wait until you see 'Ready to use' pop up on the screen. When that appears, it is time to configure this new connection on your PC. In Windows 7, navigate to the Network Connections menu by opening Control Panel > Network and Internet > Network Connections, and locate the 'USB Ethernet/RNDIS Gadget' connection. Right-click that connection and select Properties; then, within the properties list, scroll down to 'Internet Protocol Version 4 (TCP/IPv4)'. Open the Properties menu, select Use the following IP address, and enter 192.168.2.1 for the address and 255.255.255.0 for the netmask. Click OK, and then click OK again to close the connection properties window. Now you have to connect to the Kindle DX from the computer, and control it via Telnet. Run the PuTTY application (or your Telnet app of choice) and set up a new connection. Since this will be a Telnet connection, select Telnet under connection type (instead of SSH, which is the default). You want to connect to 192.168.2.2 (which is your Kindle DX), port 23. With those Telnet session settings in place, click Open. You should see a welcome dialog box signaling a successful connection. To whip your Kindle DX into shape as an auxillary PC display, tap the Kindle's aA button and reorient the screen so that it is horizontal (like your computer monitor). Make sure that TightVNC Server is still running on the computer--you will be connecting to it in a moment. Congratulations! Enjoy your extra display.